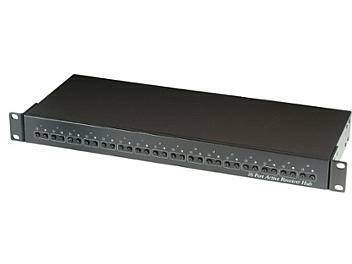 Built in 16 port TTA111VR active receivers in 1U 19-inch rack mounting panel. Built in a highly balanced mode of video transmission for extra interference immunity. Built in transient protection and ground lifting.